"We have almost forgotten how strange a thing it is that so huge and powerful and intelligent an animal as a horse should allow another, and far more feeble animal, to ride upon it's back." 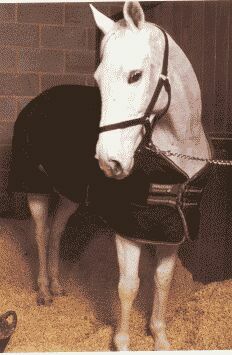 Horse blankets come in different styles and are made from various materials. They are used to keep the horse warm in cold weather. These blankets are sometimes quilted and lined with wool. Some are thinner and made from a breathable material and very water resistant. Turn-out blanket: for the horse who spends a lot of time outdoors. These blankets are fitted with straps. Read the next horse tack article on Buying Used or Second-Hand Saddles.